I am so looking forward to my July’s trip to Korea with my loveable sista!!! Korea is a land of ginseng, kimchi, bbq meat and fried chicken!!! I can foresee myself having a few meals of Korean Fried Chicken. There is Kychon Chicken; supposedly the best in Gangnam. There is also two two chicken; best in Myeongdong. 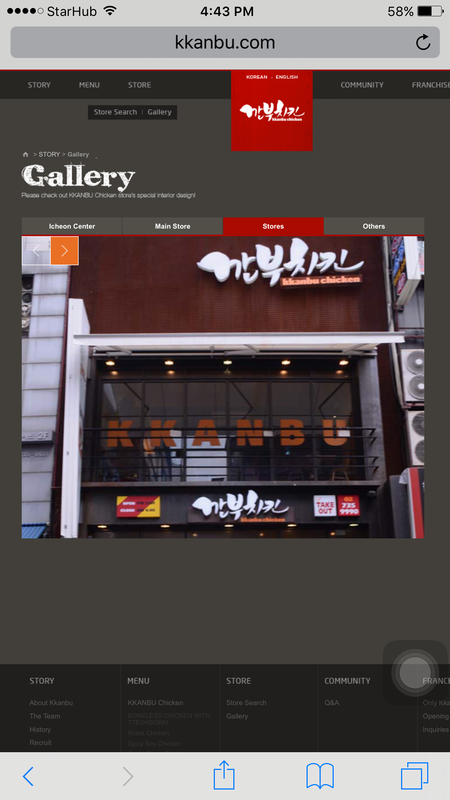 Lastly, Kkanbu Chicken which was advertised by So Ji Sub! Print Screen from Kkanbu Official Website! 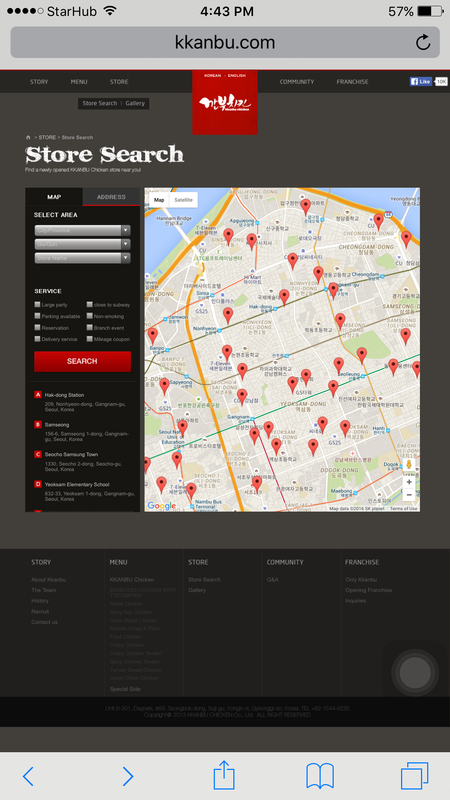 This is only part of Gangnam! They are practically EVERYWHERE!